Bright sunshine, warm coastal belt and golden sands, side by side to the turquoise water, attract tourists from round the world. Holidays in Sri Lanka, bring you the joy of, endless sea and beautiful coastlines laid with coconut groves, making it ideal for sun bathers and sea sports. As tour operators in Sri Lanka, Classy Tours helps you identify the best beaches spanning the entire island and arrange custom tours to suit your convenience. Come make your Sri Lanka holidays a fruitful one with Classy Tours! This paradise island is amazing for swimmers and surfers who love the warm unspoiled shallow beaches. While you sunbathe and enjoy the beach, you will be served with delicious fresh sea food and tender coconut water to sooth your stomach. All this can be experienced in the magical island nation of Sri Lanka. 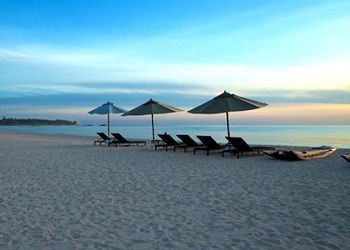 Sri Lankas one of the most beautiful, enchantment city is Hikkaduwa and is the island's most developed beach resort. With its unique beach culture and vibe, Hikkaduwa has long been one of the more popular beach party destination in Sri Lanka. In the centre of Hikkaduwa, a protected lagoon creates a beautiful and safe snorkelling area. Unawatuna beach draws both local and foreign visitors who have come to love this paradise isle profoundly, as well as the newbies. No other beach resort in Sri Lanka offers the same combination of golden sand, a protected bay, spectacular sunsets, Sri Lanka’s safest swimming all year round, and a reputation for being hassle free and laid back; all conveniently close to a wide variety of shopping, dining and cultural attractions. Nilaveli beach located about 16 km North-West of Trincomalee. Ideally located in the east coast of Sri Lanka which is famous for its beautiful and untouched beaches that stretch for miles. One of the most beautiful beaches in the country, and a very calm beach during the season with very limited waves. It is a popular tourist destination. White sandy beach is suitable for swimming and other water games. Offshore, Pigeon Island offers fine diving and snorkelling. Passekudah beach is located about 35 kilometers northwest of Batticaloa. 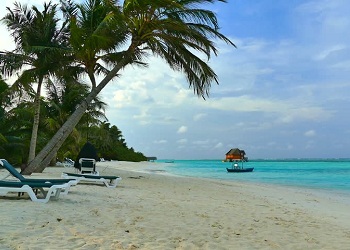 Pasikudah has become a popular tourist destination amongst locals and foreigners alike. This is because Pasikudah is known to have one of the longest stretches of shallow coastline in the world. Passikudah Bay’s shallow waters offer a perfectly safe environment for learning how to swim and therefore a popular bathing spot for families with children. There are also possibilities to snorkel, to fish and have some boat rides around. Arugam Bay is a bay situated on the approximately 4 kilometres south of the Pottuvil. Tourism in Arugam Bay is dominated by surf tourism. Identified as the best surfing beach in Sri Lanka and the 4th best beach in South-East Asia and is also among the 10 best surfing beaches in the world. Often referred to as a surfer’s paradise, this beach has some of the best conditions for a variety of water sports including swimming and wind sailing. 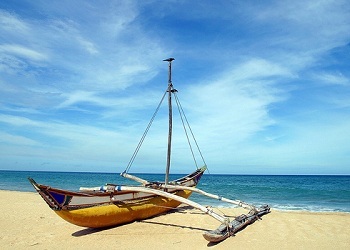 Negombo is a small beach town located near Bandaranaike International Airport and it is referred to as the golden mile. 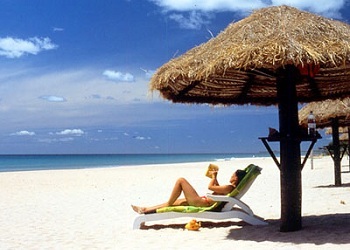 The fine sandy beaches and peaceful ocean make Negombo a top destination for relaxation beach activities. There was once a small fishing town that grew to become the country’s first beach resort. It was used as a main export harbor for cinnamon by the Portuguese. Kalpitiya is quickly gaining recognition within the kite surfing community as a top destination for the sport. May to October offers one of the best places in the world for kite surfing. Enjoy the tranquil ocean with the most beautiful coral gardens of Sri Lanka. Dolphins and kitesurfing are what bring people to the Kalpitiya peninsula. Schools of dolphins hundreds strong can often be seen jostling and playing in the offshore waters and boat safaris offer close-up views of these aquatic mammals. Bentota is famed as the prime beach resort of the south-western and southern coastal belts of Sri Lanka. Bentota provides the perfect location for extended holidays by the beach. 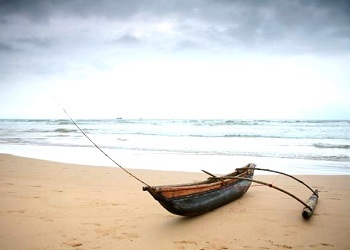 Calm seas during the season from November to April make Bentota Beach ideal for snorkelling, diving, sailing, wind surfing, water-skiing and deep-sea fishing on a traditional outrigger canoe. Bentota enriched with safe swimming conditions in the season combined with fun water sports and exciting excursions that set up an ideal background for a relaxed holiday in Sri Lanka.